Today is Fiji Day, commemorating the country’s independence from the United Kingdom in 1970. This card was sent to me last winter by my friend Sam when he was vacationing in New Zealand and Fiji. Castaway Island is a private resort island in the Mamanuca Island group. It is known by Fijians as Qalito. This is my first card from Fiji, and probably my last. 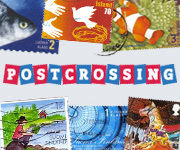 There are only 858,000 people who live there, and only 9 Postcrossing members at the moment. Here is the stamp Sam used, showing a Petroica multicolor, the Pacific Robin. Another entry in my summer travel-log: Fort Vancouver, in Vancouver, Washington state. Fort Vancouver is a National Historic Site, part of the National Parks System. Fort Vancouver was a trading post in the 19th century and the headquarters of the Hudson Bay Company’s operation in the Pacific Northwest. It served as a supply point for many of the settlers of the Oregon territory. 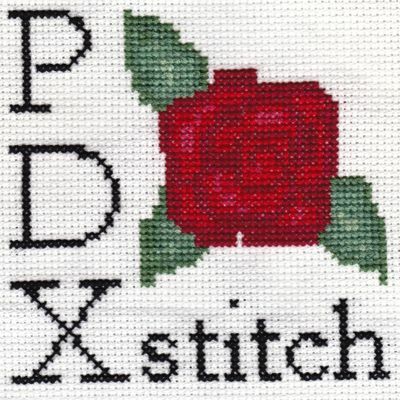 It is only about 20 minutes north of Portland, an easy drive on the highway. I don’t know why I didn’t visit before. I had a nice afternoon break going to the fort to buy these cards. Then I sat outside in the sun and wrote the cards while watching planes come in for a landing at the nearby Portland International Airport. There are three, plus the pictorial stamp. The three stamps are from the Fort Vancouver Site, the Lewis and Clark Historical Trail, and the Oregon Historical Trail, both of which pass through the area. The apple stamps were particularly relevant to the cards. The first apples cultivated in the Pacific Northwest were planted at the fort in 1826, as represented on the second card. Stay tuned for more travel adventures with me this summer. Following up from this morning’s post featuring postcards from my own dad, here are three postcards that my boyfriend’s dad, Jeffrey, brought back for me from a recent trip to Mexico. Even better, the cards represent two new UNESCO sites for me! First there is the city of Guanajuato, listed in 1988. The town is significant for its silver mines. Guanajuato was the world leader in silver mining in the 18th century. It is also known for its many churches. The next two cards are from the UNESCO site, the Protective town of San Miguel de Allende and Sanctuary of Jesús Nazareno de Atotonilco. It was added to the UNESCO list in 2008. The first card shows an interior view of the Sanctuary of Atotonilco. The second card shows a view of the city of San Miguel de Allende, founded in the 16th century by the Spanish. Silver was also important in the growth of San Miguel de Allende. Both Guanajuato and San Miguel are known for their Baroque architecture. There are no stamps to show because Jeffrey visited during a big festival time, and all the post offices were closed nearly the whole time he was there! So the cards had to be hand delivered, which is quite alright with me. Thanks, Jeffrey, and Happy Father’s Day! Today in the United States is Father’s Day, which celebrates fathers and fatherhood. I have two posts for today — first, featuring postcards sent by my own dad, and second, featuring postcards sent to me by my boyfriend’s dad. In 1997 my dad took a trip to Italy and sent a postcard to my mom and me almost every other day he was there. My parents were cleaning up their house to prepare to move and my mom gave me these cards to add to my postcard collection. They are the oldest cards sent to me that I have, so in many ways, these cards are the start of my postcard collecting. This card shows the Genesis Cupola in the Basilica of San Marco in Venice. This card shows the “Apparition of the Virgin of Mount Berico” at the Church of S. Corona in Venice. This card comes from the Castello di San Giorgio, the Ducal Palace in Mantua. This card shows a painting, “The martyrdom of St. Sebastian” in the Basilica of St. Petronius in Bologna. The painting was made in the late 15th century, according to the card. And last, this view of Montagnana, a town in northern Italy. I believe this card shows the medieval city wall. The stamp on the right shows another view of the wall and castle of Montagnana. That is all for now, stay tuned for another Father’s Day post later today. And because I know he’s reading, I’m wishing a big Happy Father’s Day to my own dad! I have two new map cards from Colorado, plus a bonus card of Denver! These first two cards are from my dad. He sent them when he was in Colorado for work. Colorado is also known as the Centennial State, I assume because it became a state in 1876, 100 years after the USA declared independence. This card shows Denver, the capital of Colorado. Denver is also the biggest city in Colorado. It is also one of the highest cities in the United States; the official elevation is 5,280 feet (1,609 meters) above sea level. This card comes as an official Postcrossing card. The flowers are new this year, from a series called “Winter Flowers” released February 14, 2014. And this stamp is from a series of gingerbread houses released in 2013 for Christmas and the holidays. Hello, readers. You may have noticed how I haven’t been around the blog in, well, months. I took a long break from blogging and from postcard trading because I was too busy preparing for and starting my first year of law school. Now, I am not really any less busy, but I enjoy sharing new cards and it is important that I do something other than work all the time! At the end of May I went to Multnomah Falls with my mom, dad, and sister, who were all visiting for my graduation. Multnomah Falls is about an hour’s drive away from where I live. It’s in the Columbia River Gorge, which is very beautiful. I bought these three postcards that look like vintage travel posters. I really like this style of card and I’d like to get more of them from other places. The first card is an aerial view/map of Puget Sound, which is where Seattle is. The view is looking from northwest of Seattle, toward the southeast. I bought this card at an awesome map store in downtown Seattle, near Pike Place Market, the home of Starbucks Coffee. If you like maps of all kinds, and are ever in Seattle, the store was called Metsker Maps. They had a lot of great maps! The second card is a picture of the Seattle Public Library. Their library is very interesting inside. It is very open on the first few floors, where there is a coffee shop, auditorium, and the circulation desks. The top floors, where the books are, are arranged in a spiral and the floor slopes slightly. So as you walk around, you’re also walking up! When you get to the top, there is a balcony where you can look over and see all the way down to the ground floor (many, many stories below). I could only look for a little bit before I got dizzy. It’s a long way down. They are from a very cool series of stamps called Pioneers of American Industrial Design released in 2011. So, what did you do with your summer? If you like French Art of the 1880s, then this post is for you! Helene in Texas has sent two lovely cards showing the work of Renoir, and my mom sent me one of Gaugin’s works (on a postcard, not the real thing). First is Renoir’s The Boatman’s Lunch, painted in 1880-81. The painting depicts a luncheon on the banks of the Seine, attended by many of Renoir’s friends. The woman holding the dog at the bottom left is named Aline Charigot; Renoir later married her. This next painting is titled The Umbrellas and was painted by Renoir in 1883. Renoir is one of my favorite artists. I particularly love his paintings Dance at Bougival (1882-83) and Girls at the Piano (1892). This painting comes from my mom, and is painted by Gaugin. It is titled Still Life with Three Puppies and was painted in 1888. Gaugin was a post-Impressionist, unlike Renoir, who was an Impressionist. Although they were contemporaries, you can see the differences in style between the two painters. What kind of art do you like? Are you a Renoir or Gaugin fan?